STVY Fall seminar 1-2 November 2018: What Works Best for Your Products? Slush has been the November highlight in Helsinki, but at Tampere it is the STVY fall seminar! We seem to be entering an era where new ways of getting content to customers in a cost-effective manner are coming within reach as practical solutions. These developments have generated a lot of buzzwords: Information 4.0, AR, AI, Big Data, VR, Chatbots, and others. But, which of these are suited to your product(s)? Join us and our speakers to try and sort how much has really changed and what options work for which products. Place: Auditorio in Valtatie 30, Hatanpään valtatie 30. 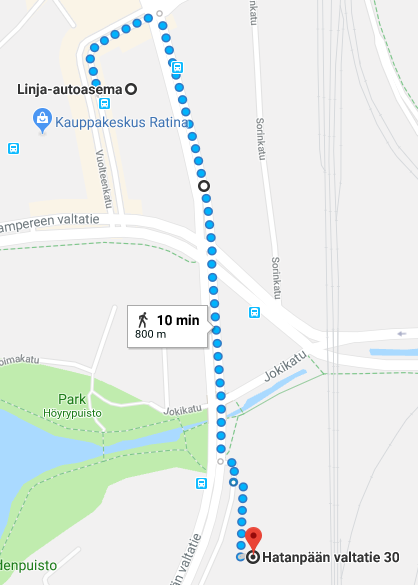 1,2 km from the Tampere railway station (see below). Katriina is a veteran in the field of data management and usage. Her career started with technical writing and XML content management and has now spread to Robotic Process Automation and Artificial intelligence. She is seriously in to IT, but not with a frown upon her face. Mika Karaila, Ph.D., is a research director at Valmet Automation Oy. He has been involved in the development and delivery of industrial design for both distributed and integrated information systems and Industrial Internet Architecture for over 30 years. He is well-known as an innovator in introducing new technologies. We reserve the right to do changes to order and language of the presentations. Both registration and coffee are found in the lobby/restaurant of Valtatie 30. The seminar is kicked off by the lead seminar coordinator Laura Katajisto. Speaker: Katriina is a veteran in the field of data management and usage. Her career started with technical writing and XML content management and has now spread to Robotic Process Automation and Artificial intelligence. She is seriously in to IT, but not with a frown upon her face. Danfoss Drives manufactures frequency converters for controlling electric motors. When designing our technical product communication we want to provide our customers with all the benefits of modern, modular and smart CMS. Not just books and PDF’s, but also fast, easy and relevant product information at the user’s fingertips. That is, in our opinion, the way the customers and users should benefit from the digital transformation. A more and more significant part of the digital customer experience within tech comm will be delivered by chatbots. In B to B businesses, chatbots are not yet so widely used. The obvious reasons for this can be the lack of proper Back-end, a smart, modular and effective CMS, and the lack of an intelligent middleware (API) to serve the customer Front-end with the modules from the Back-end fully automatically. I’m going to enlighten the Danfoss Drives journey towards a new era in customer documentation via chatbots and what are our learnings along the way. Speaker: Pasi Savola has worked for 18 years in drives business in the field of technical documentation in Vacon and Danfoss. Danfoss bought Vacon in 2014 and during the merger in 2015 Pasi was appointed as Director, Technical Communication for the newly founded Danfoss Drives. He manages an global tech comm team with 12 members all over the globe. What drives him is the dream to provide the customers with best possible support and guidance with the products – in all needed languages, always up-to-date. Nokia’s customers expect our user assistance solutions to match our cutting-edge technology products. The search in traditional help browsers often falls short on expectations. Search results that are ranked, filtered, and personalized are the new norm. With the rise of machine learning, conversational interfaces (chatbots) are generating more interest. Nokia Software Technical Communications team in Tampere is experimenting with chatbots. Our purpose is to study alternatives that could help our users find and interact with information, and see how this will affect content creation. We aim to create an intelligent chatbot to try out how we could use this conversational interface to our advantage in user assistance, using machine learning and page ranking to create better search results and a satisfying user experience. Speakers: The presenters are members of a team of senior customer documentation professionals producing B2B and consumer product documentation for a wide range of products from mobile phones to telco network elements and network management systems. Perttu Makkonen (M.Sc.) has a long experience in the mobile phones user experience design. He is a full stack developer. Niina Järvenmäki (M.A. & M.Sc.) has 15+ years of experience in technical writing, information design, project and service management. Jouni Merikari (M.A.) has nearly 20 years of experience in various technical communication roles, including sales support, and lead roles in technical writing and information design. Modern content delivery platforms enable direct feedback from end users, and with that, quality and fit for purpose of documentation can be massively improved. But in global and multilingual environments, this creates new challenges because the existing translation processes often are not suitable to handle this kind of user generated content. Speaker: Jörg Schmidt has more than 15 years of experience as technical consultant, account and project manager for XML based content management systems in industries like automotive, aerospace & defense, life sciences and manufacturing. Since 2013 he is working as solution architect for SDL’s structured content management solutions. Customer insight garnered from feedback can be an effective means to steer both the development of your product and its support materials. The insight gets even more accurate if you can augment the customer feedback with data on your customers’ behavior and other types of user data. At the same time, if your data is in too many incompatible formats, you risk drowning in an ocean of potentially meaningless information that makes comparisons between different data sources a challenge. It would therefore be tempting to ignore some data types even at the expense of the quality of analysis. My presentation uses the last two generations of Microsoft Lumia smartphones as a case on how to combine multiple sources of big and small data to steer the development of both product UX improvements and the related support content. I give you the quick, cheap, and clean way of getting started with big data analytics in your documentation development, how to implement a data-driven approach as well as some practical advice on how to select the data types that you either want to use or ignore. I also outline the basic process on how to process the findings. Based on the case, my presentation aims at giving you those best practices we found to work. I also highlight some of the pitfalls, process issues, and organizational challenges that we encountered when developing the approach. Speaker: Anssi Ahlberg has a long and wide background in making life easier for customers. He started his career by translating manuals for paper machines. 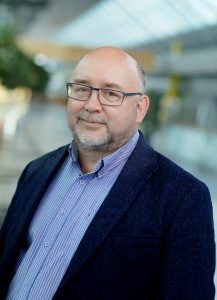 During his 18-year tour with Nokia Oyj and Microsoft Mobile, he held multiple positions in customer documentation and language support project and product management. Before his current role, he worked as the Senior Product Manager for Consumer UX at Microsoft Mobile, taking deep dives into customer data and feedback and turning the findings into product and documentation improvements. Anssi currently works as a planning officer in the Population Register Center (Väestörekisterikeskus). He works on ensuring that customers will be able to make an easy and well-informed choice on their health and social service provider at the Suomi.fi public service information portal. Issues revolving around terminology, customer journeys and user feedback are currently on his desk. Coffee is served in the lobby/restaurant of Valtatie 30. Do say hi to our sponsors as well! Today’s user expects manuals to be available on the web. They want to browse thousands of pages on their mobile. Most companies today are investigating how to publish all, or some, of their technical documentation to web format. But there are many requirements that must be fulfilled. It must be possible to search and filter in all manuals in one go without having to swop between manuals, use the web content locally without having an internet connection, the web content must be installed and ntegrated together with the (software) product it describes, content sensitivity must be supported but content should only be accessible for those given access. Security policies (such as the new EU directive GDPR) restrict what personal data is possible to store in the web manual application. Furthermore, users require that it must be possible to synchronize local installed web manuals when a manual is updated. And soon, personalized content must be delivered automatically to the user when they need it (according to the new German Intelligent Information Request and Delivery Standard, or iiRDS part of the industry 4.0 initiative). To achieve all these requirements adds a lot of extra work load to technical communicators work agenda that is already tight. Excosoft has discussed and solved many of these requirements together with technical communication departments. This presentation will highlight some of the requirements, present practically how they are being solved without adding a lot of extra work load to technical communicators schedules. Jonatan Lundin is a senior information architect within the technical communication field, currently employed at Excosoft. Jonatan has more than 20 years of experience from the technical communication industry, and more than 15 years of experience of designing XML topic-based user documentation for large global companies. Jonatan is product manager for Skribenta Finder; an add-on to Excosoft Skribenta CCMS allowing companies to publish their content to the web. In recent years, he has focused on findability of technical communication. Jonatan is researcher at Mälardalen University, Sweden, studying user behaviors among users of technical documentation and how to design usable technical information. Ferry Vermeulen, INSTRKTIV: Can you publish your manual online instead of in the box? Perhaps it is the most important change, in recent years of European law, when it comes to product information: for many products it is now allowed to place their instructions solely online. In many cases, it is no longer required to supply the full manual in the sales package. In this presentation, you will learn how you can legally digitize your product information. You will hear exactly how and where to find the content for your product that must be placed online and what can be published online. Speaker: Ferry Vermeulen is the director at INSTRKTIV GmbH. His company creates compliant and user-friendly user instructions for brands such as Electrolux, Volkswagen, Bosch and AKAI. Ferry travels all over the world to identify how product safety legislation has been arranged. Also, read his case study on how to create compliant user instructions. Anu Granroth, Adina Solutions: Virtuaalitodellisuus tulee ja korvaa kaiken painetun asiakasdokumentaation? Mikä on painetun asiakasdokumentaation tulevaisuus digitaalisuuden aikakaudella? Tarvitaanko mitään enää paperilla sen jälkeen, kun kaikki asiakasdokumentaatio on korvattu virtuaalitodellisuudella ja käyttöliittymät ovat täysin intuitiivisia? Tarkastelen esityksessäni kahta väitettä: 1) painettu asiakasdokumentaatio ei ole katoamassa mihinkään, vaan sillä on edelleen roolinsa, ja 2) yrityksissä painetaan asiakasdokumentaatiota täysin turhaan. Käyn läpi kaksi hyvin erilaista asiakaskeissiä, joissa kummassakin tapauksessa asiakas edelleen tuottaa painettua asiakasdokumentaatiota. Tarkastelen syitä, miksi dokumentaatiota edelleen painetaan ja toimitetaan paperiversioina, ja onko se perusteltua molempien asiakkaiden kohdalla. Lisäksi pohdin miten molemmissa keisseissä voisi asiakasdokumentaatioportfoliota kehittää digitaalisuuden avulla. Toinen asiakaskeissi on kuluttajaelektroniikkaa globaalisti myyvä yritys, joka edelleen tuottaa paperista asiakasdokumentaatiota. Yrityksen tuotteiden myyntiä säätelee ennen kaikkea kuluttajalainsäädäntö. Tuotteiden myyntipakettien sisältöä valvovat eri maiden kuluttajaviranomaiset, maahantuojat ja tulliviranomaiset, lisäksi oma sanansa sanottavana on erilaisilla sertifiointiviranomaisilla. Tilanne on hyvin yksiselitteinen: myyntipaketissa tulee olla painettu käyttöohje, jonka avulla kuluttaja saa tuotteen käyntiin ja joka ohjaa kuluttajaa käyttämään tuotetta turvallisesti rikkomatta sitä tai aiheuttamasta vahinkoa itselleen tai muille. Toinen esimerkkini on yrityksestä, joka valmistaa koneita ja laitteita teollisuuden tarpeisiin. Myyntiä säätelee nyt eri lainsäädäntö, lähinnä erilaiset standardit, joissa on vaatimuksia myös asiakasdokumentaatiolle. Myös teollisuuteen meneville koneille tulee toimittaa asiakasdokumentaatiota, mutta dokumentaation merkitys on kuitenkin eri kuin ensimmäisessä keississä. Tuotteet ovat yleensä isoja ja huomattavasti kalliimpia kuin kuluttajatuotteet. Ne eivät tule kauniisti suunnitellussa myyntipaketissa. Asiakasdokumentaatiota voi olla kymmeniätuhansia sivuja. Siitä huolimatta ne toimitetaan edelleen painettuna paperille. Näiden kahden asiakaskeissin kautta pohdin painetun asiakasdokumentaation käyttötarkoitusta, kustannustehokkuutta, ekologisia aspekteja sekä muita merkityksiä. Emme ehkä pääse eroon kokonaan painetusta asiakasdokumentaatiosta, mutta meillä on keinoja vähentää sen määrää. Esityksen jälkeen pystyt ehkä omassa yrityksessäsi perustelemaan paremmin painetun asiakasdokumentaation merkityksen ja tulevaisuuden omassa asiakasdokumentaatioportfoliossasi. Puhuja: Anu Granroth on Adina Solutions Oy:n toimitusjohtaja. Yrityksen operatiivisen pyörittämisen lisäksi Anu työskentelee asiakasprojekteissa niin projektipäällikkönä kuin teknisenä kirjoittajanakin. Anu on työskennellyt teknisen viestinnän alalla vuodesta 2002 niin operatiivisissa rooleissa teknisenä kirjoittajana, information designerinä kuin operatiivisten tiimien vetäjänäkin. Anu on työssään hyvin usein keskittynyt asiakasdokumentaation portfolion suunnitteluun ja hänellä on kokemusta eritoten painettujen käyttöohjeiden konseptisuunnittelusta. Anu on työskennellyt myös laadunvalvonnan ja sisällöntuotannon prosessien parantamisen parissa sekä kehittänyt myös lokalisointiprosesseja. Ennen uraansa teknisen viestinnän parissa Anu työskenteli 5 vuotta Suomen ulkoasiainministeriössä, joista parisen vuotta meni Brysselissä EU -asiakirjojen arkistointia ja jakelua hoitaessa. The seminar day two is kicked off by the lead seminar coordinator Laura Katajisto. Speaker: Mika Karaila, Ph.D., is a research director at Valmet Automation Oy. He has been involved in the development and delivery of industrial design for both distributed and integrated information systems and Industrial Internet Architecture for over 30 years. He is well-known as an innovator in introducing new technologies. Esityksessäni käsittelen tekemääni pro gradu – tutkielmaa, jonka aiheena on tiedon uudelleenjärjestäminen teknisessä dokumentaatiossa siirryttäessä XML-pohjaiseen dokumentointi-ympäristöön. Teknisen viestinnän alalla XML-pohjaiset dokumentointijärjestelmät ovat yleistyneet 2000-luvun alusta lähtien ja monet yritykset ovat edelleen siirtymässä uuteen järjestelmään. Aihetta on käsitelty teknisen viestinnän alalla runsaasti, mutta analyysimalleja manuaaliseen aineiston migraatioon ei ole esitetty. Tutkimuksen tarkoituksena onkin selvittää, miten tietoa kannattaa analysoida ja järjestää uudelleen siirryttäessä uuteen dokumentointijärjestelmään. Tutkimuksen teoriataustana toimii informaation suunnittelu ja modulaarisuus. Teorioiden pohjalta pohditaan esimerkiksi voiko sisältöä kirjoittaa pienissä paloissa, niin että se toimii ja on käytettävää kaikissa konteksteissa ja dokumenttityypeissä. Tutkimus on Marioff Corporation Oy:lle tehty tapaustutkimus. Tutkimuksen metodina käytetään teoriaohjaavaa laadullista sisällönanalyysiä, jota ohjaa sisällön uudelleenkäytön analyysin malli. Tutkimuksen aineistona toimii Marioff Corporation Oy:n tekninen dokumentaatio, joka koostuu palonsammutusjärjestelmän osana toimivan pumppuyksikön käyttöohjeesta ja teknisistä datalehdistä. Tutkimuksessa selviää esimerkiksi, että sisältöä pitää analysoida yrityksen sisällönhallintajärjestelmän asettamien rajoitusten puitteissa. Erityisesti sisällön uudelleenkäytön strategia pitää suunnitella sisällönhallintajärjestelmän mukaisesti. Tämä tutkimus tukee aiemmissa modulaarista dokumentaatiota käsittelevissä teoksissa esiintyvää ajatusta, että yksityiskohtaisia ohjeistuksia sisällön uudelleenjärjestämiseen ei voi antaa, koska sisällön jakaminen on tapauskohtaista eli riippuu jaettavasta sisällöstä, jota siirretään modulaariseen dokumentointiympäristöön. Tutkimuksen analyysin pohjalta nostetaan esiin yleisiä asioita, jotka kannattaa ottaa huomioon uuteen dokumentointiympäristöön siirryttäessä. Esitelmän lopuksi pohdin tekemäni tutkimuksen vaikutuksia noin puoli vuotta siitä, kun analyysimalli on otettu yrityksessä käyttöön. Puhuja: Iida Koppanen on Tampereen yliopistosta, Englannin kielen ja kirjallisuuden tutkinto-ohjelmasta vuonna 2018 valmistunut filosofian maisteri. Hän on toiminut teknisenä kirjoittajana Marioff Corporation Oy:lle keväästä 2017. Teknisen viestinnän alalla hänen suurimpia kiinnostuksen kohteitaan ovat uudet teknologiat, multimodaalisuus ja käytettävyys. In our presentation we will walk along the path many tech comms professionals have taken. “Since you know yer English and can visualize, you can probably do some marketing writing too, eh?” For some, it’s been an absolute no-no, to some, a welcome diversion, for the rest, the start of a new career. The toolbox of technical communications professionals comes in handy in marketing writing, but you must turn some knobs to 11 and some to 0. Hopefully we can give you some insights how to transition between these very different types of comms is easier to make – and even improve your career outlook by being able to say you master both technical and marketing comms. 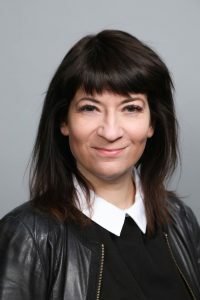 Speakers: Anne Karppinen is a well-marinated, grilled and a bit charred-around-the-edges comms professional who started her tech comms career in 1996, writing technical documents for Nokia’s network management product, then called NMS/2000. During her 22 year career at Nokia, she’s worked her way through everything possible in technical communications, transitioned into a social media evangelist and after that, moved onto product marketing. But you cannot take technical writing out of a woman and now she’s back to her roots, or even deeper – designer documentation in System-on-Chip development! Mary Nurminen selected two interesting areas early on – tech comms and localization – and then steadfastly set out to do every job imaginable around those areas. To date (24 years in), the jobs include: practitioner, manager, marketer, consultant, teacher and researcher. Mary worked with Anne in that first job with Nokia’s network management product, and they have pondered work and life together ever since. Use the opportunity to network! Käyttäjät ovat olleet luonnollisesti mielessä aina kun kirjoitan sisältöä. Havahduin kuitenkin siihen, että tiesin heistä liian vähän ja että noin kymmenen vuoden aikana luomani asennusohjeet olivat todella huonot. Näistä lähtökohdista ryhdyin tutkimaan Marioffin asennusohjeiden lukijoita ja luomaan heistä käyttäjäpersoonat, joiden avulla tieto käyttäjistä on ytimekkäässä ja elämänmakuisessa muodossa. Samaan aikaan Marioff oli siirtymässä modulaariseen dokumentaatiojärjestelmään ja tieto käyttäjistä sekä heidän tarpeistaan oli oleellisen tärkeää, että pystyimme miettimään omia tarpeitamme miten haluamme tuottaa ja julkaista sisältöä, joka on oikeasti hyödyllistä käyttäjillemme. Marioff julkaisee aina paperilla ja siihen on paljon käytännön syitä. Modulaarisuus ja uudelleenkäyttö antavat paljon mahdollisuuksia kehittää sisällöntuotantoa ja sisällön yhteiskäyttöä yrityksen sisällä. Se, että yrityksen eri toimijat löytävät yhteisen tiedon on yhtä tärkeää kuin se kenelle tietoa tuotetaan. Esityksessäni kerron uuden näkökulman surullisenarkiseen lausahdukseen ”nobody reads it anyway”. Käyn läpi perusteita miksi paperi on hyvä käyttöliittymä yhä vaikka digimahdollisuudet ovat olemassa. Kerron myös miten persoonia on käytetty sisällöntuottamisessa noin puoli vuotta niiden luomisen jälkeen. Puhuja: Maria Iho nauttii teknisen viestinnän asiantuntijatyöstä tuotekehitysorganisaatioissa. Maria on koulutukseltaan kielitieteen FM ja hänellä on yli 20 vuoden kokemus teknisen viestinnän tehtävistä sekä konsulttina että vakituisena kirjoittajana. Työpaikassaan Marioff Corporation Oy:ssä hän on kehittänyt dokumentaation prosesseja ja modernisoinut työkaluja jo 10 vuotta. Maria on aina valmis oppimaan lisää: työ on opettanut häntä vuosien varrella paljon ja tuoreinta lisäoppia hän sai Tampereen Yliopiston Teknisen viestinnän erikoistumiskoulutusohjelmasta Minimalismi mukautuvassa suunnittelussa. Koulutusohjelma antoi inspiraation seminaarin esitelmälle. Tampereella järjestettiin vuosina 2017-2018 viiden yliopiston järjestämä teknisen viestinnän erikoistumiskoulutus Minimalismi mukautuvassa suunnittelussa, johon otti osaa 18 teknisen viestinnän ammattilaista. Koulutuksen suunnittelussa oli yliopistojen lisäksi mukana alan yrityksiä ja Suomen teknisen viestinnän yhdistys (STVY ry). Koulutuksen aikana kävi ilmi, että minimalismi käsitteenä oli tuttu suurelle osalle osallistujista, mutta se koettiin verrattain teoreettiseksi ja vaikeaksi soveltaa käytännössä. Tätä aukkoa paikkaamaan loimme uuden dokumentointiprosessimallin, joka kytkee minimalismiajattelun ja teknisen viestinnän hyvät käytännöt dokumentointiprosessin eri vaiheisiin (Virtaluoto, Suojanen & Isohella). Lisäksi loimme dokumentointiprosessille jatkoksi minimalismiheuristiikat, joihin keskitymme tässä esityksessä: heuristiikkojen perusteella dokumentaation laatua voidaan arvioida joustavasti prosessin eri vaiheissa. Puhujat: Suvi Isohella Suvi Isohella työskentelee yliopisto-opettajana Vaasan yliopiston Markkinoinnin ja viestinnän yksikössä, jossa hän opettaa pääsääntöisesti teknisen viestinnän ja digitaalisen viestinnän kursseja sekä ohjaa opinnäytteitä. Hän myös johtaa Vaasan yliopiston Teknisen viestinnän maisteriohjelmaa viestintätieteiden oppiaineessa. Tytti Suojanen Tytti Suojanen toimii teknisen viestinnän lehtorina Tampereen yliopistossa Viestintätieteiden tiedekunnassa. Hän on vastannut teknisen viestinnän erikoistumisopinnoista 20 vuotta. Jenni Virtaluoto Jenni Virtaluoto on teknisen viestinnän ammattilainen, jolla on 15 vuoden käytännön kokemus alalta sekä tohtorintutkinto englantilaisessa filologiassa. Hän toimii tällä hetkellä yliopistonlehtorina Oulun yliopiston englantilaisen filologian oppiaineessa. Coffee is served in the lobby/restaurant of Valtatie 30. Hanna Heinonen, Kone: Future documentation or the future of documentation? KONE has come far in just a few short years. Moving away from PDF and print documentation and making it available in an online portal has enhanced the user experience and made the documentation accessible and more user friendly. The content is also delivered dynamically to several systems. This enhances the user experience even more as users no longer need to even look for the relevant information but it is handed out to them in the right context. KONE has also taken a big step and connected elevators to Watson IoT, which has made KONE services truly intelligent and tailored to each individual equipment. With KONE maintenance documentation connected to this same network, technical information is now an integral part of the intelligent services KONE offers. But do we stop there? No, we are aiming higher. Several augmented reality experiments are ongoing to see what benefits can be brought to the user by enhancing the things they see. From simple text to videos, animations and rotatable virtual 3D models layered on top of real-world environments, the sky seems to be the limit. Technically we can put almost anything in the AR glasses. But what does the user want? How much is enough if you are viewing the world through the glasses? When does the extra information become a distraction instead of assistance? This is what we aim to define with the ”Future documentation” project that combines the talents of KONE Maintenance development and Kone Technical Documentation. Speaker: Hanna Heinonen is Information Designer and Key User at Kone Oyj and has specialized in information architecture and design, user-centered, task-based documentation, DITA XML, reuse, content management systems and tools, and tool and IT support. Currently, she is working with PTC Windchill and Arbortext Editor with DITA 1.2, looking into the possibilities that DITA 1.3 offers. The seminar is wrapped up by the chair of the society, Eeva Viljanen. What do you need to know before the seminar? The seminar is held at the Auditorium of Valtatie 30, address Hatanpään valtatie 30. The black dot shows the place. The walk from the bus station to Valtatie 30 is about 600 meters. It’s a direct route, just cross Hatanpään valtatie next to the bus station and move forward. The loop at the bus station isn’t as big as this picture shows! The following bus lines, for example, go from Keskustori to Hatanpään valtatie: 14 (Pere), 21 (Turtola), 26 (Höytämö), 27 (Sarankulma) and 33 (Lahdesjärvi IKEA). 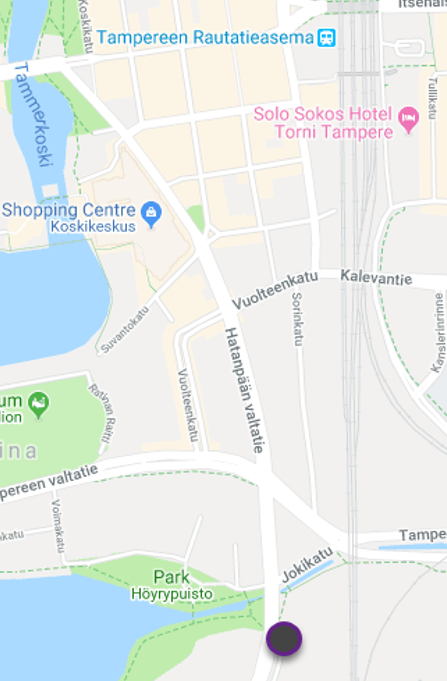 The bus stop to get off is either Viinikanlahti or Hatanpään valtatie. A single ticket costs 3.00 € and you can pay by cash. The distance between the railway station and Valtatie 30 is about 1,2 kilometres. The straightest route is through Rautatienkatu, Vuolteenkatu, and Hatanpään valtatie. There are also smaller streets between the railway station and Hatanpään valtatie that you can take. The 6.49 train from Helsinki will get you to the seminar on time, the 7.14 train requires a bit faster walking. The 6.20 train from Jyväskylä will get you to Tampere ahead of time, the 7.20 train can cause a bit of a hurry. The 6.50 train from Vaasa will get you to the seminar location on time. From the direction of Oulu, you need to travel to Tampere on Wednesday. There are only a few free parking places near Valtatie 30. There may be some “kiekkopaikka” in the Verotalo parking lot (Hatanpään valtatie 36) but these places have a time limit on them. There may be some free places at Hatanpäänkatu, but they fill up very quickly in the morning. We recommend you leave your car either at Ratina, Koskikeskus, the railway station or Tullintori and then walk to Valtatie 30. The seminar registration desk is in the lobby. The registration is from 8.00 to 9.15 on Thursday and Friday. Please return the name tag holders when you leave the seminar. The seminar program is in your seminar folder. Next to Koskikeskus on Hatanpään valtatie you can find the restaurants Purebite and The Bull (serves lunch only on Fridays). Our traditional evening get-together is on Thursday 1 November in Kahvila-Ravintola Maukas from 18.00. The red pin shows the location. The address is Itsenäisyydenkatu 17B, but the entrance is “behind the building” on Mäkipäänkatu. The shortest route from Valtatie 30 to Maukas is through Hatanpään valtatie, Vuolteenkatu, Kalevantie and Yliopistonkatu. But as we assume you will want to go to your hotels first, the central hotels, bus station and railway station are marked on the map below. 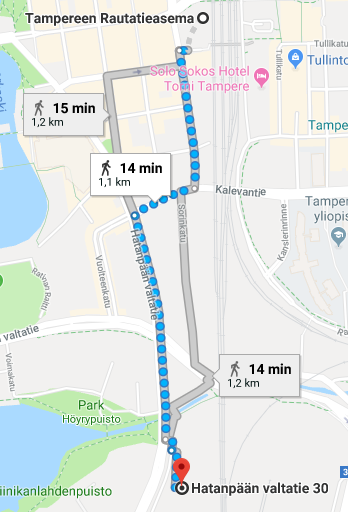 Tampere is building a tramway and this affects traffic. It is especially exciting to try cross Hämeenkatu and Itsenäisyydenkatu, as the pedestrian crossings move. At the moment, you can cross Hämeenkatu next to Stockmann at Tuomiokirkonkatu. You can cross Itsenäisyydenkatu using the temporary crossing in the middle of the Itsenäisyydenkatu “hill” (just after Pakkahuone) or the proper crossing at Yliopistonkatu. The best way to get to the other side of the railway station is by using the inside tunnel at the railway station. The seminar has its own Padlet notice board at padlet.com/laura_katajisto/stvy2018. Valtatie 30 has an open guest Wi-FI. The seminar and speaker feedback will be collected electronically using SurveyMonkey. The links to the feedback form are shared via the Padlet notice board. If you have any other questions, contact the organisers. The organisers have a blue STVY lanyard. We operate as a virtual society, without a fixed location. You can best reach us via email at info-nospam@stvy.fi. Our website provides basic information on the field of technical documentation and the society itself. Most of the active discussion takes place on our social media accounts.